The Extendable Slim Leg Deer is a comical approach to holiday decorating, and will be loved by all ages during the holidays. In fact, this darling deer will make a fine gift for many individuals, particularly those that enjoy the holidays as much as you do! This whimsical little deer is around 15cm wide by 58cm in height, and has long lanky limbs supported by his sturdy black boots. 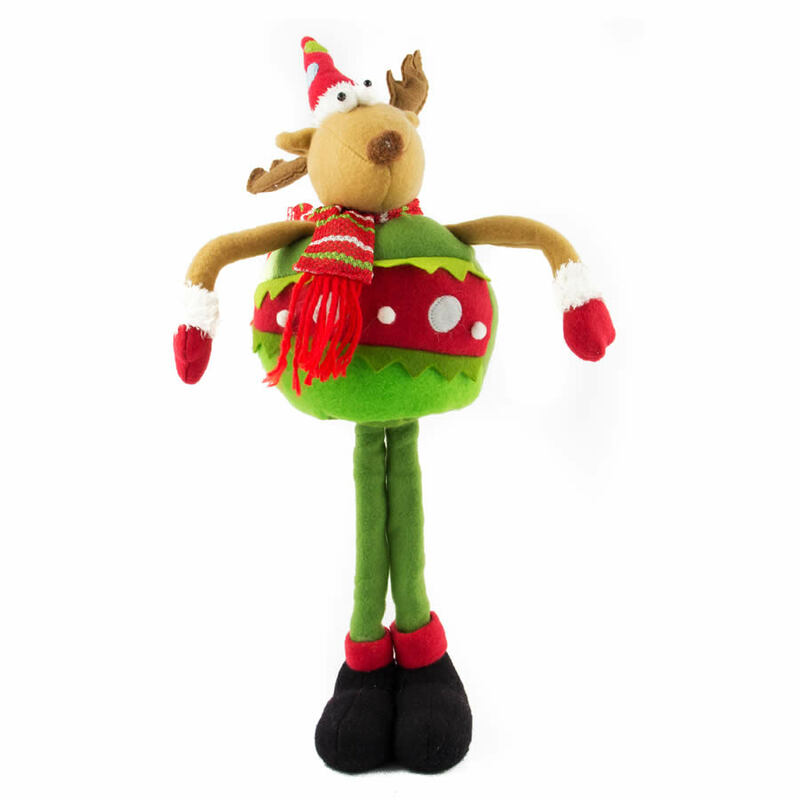 He has a goofy expression that will delight, and festive attire to fit in well with your holiday decor. This sweet, soft deer has a plush body with felt, fur, and knit accents- you will find it hard to suppress a smile when you see the bewildered look on this little face. 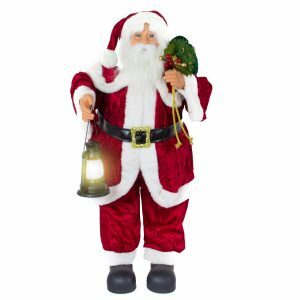 This would be a great item to pair with the Extendable Slim Leg Santa, and looks so charming when you place this darling duo near the front door or foyer of your home. The Slim Leg Santa is offered and sold separately.